Our ecological services range from habitat surveys to full protected species surveys and European Protected Species Licence applications. If you have a building or development project, we’ll help you get started on time and support you all the way in complying with the latest ecology and biodiversity legislation. As autumn approaches, we thought it’d be useful to look at some of the fascinating creatures we come across when carrying out our ecology services and surveys. It’s dormouse survey season – Do you have invaders? The native hazel dormouse is a secretive and fascinating little creature. This species inhabits hedgerows and woodland and has specific habitat requirements meaning populations are susceptible to changes in land use and management. We do, however, have another non-native species in the UK; the edible dormouse. It’s Europe’s biggest dormouse and very different to our native version inhabiting a range of habitats including deciduous woodland, rocky cliffs, caves and urban areas. This species can grow to more than 20cm in length, has a thick, hairy tail, and if you live anywhere around the Beaconsfield, Aylesbury, Tring or Luton area, there may be a nest near you. The animals were introduced to Britain by accident in 1902, thanks to the dedicated yet somewhat careless private collector Lionel Walter Rothschild, and they’ve thrived in the region around his home ever since. They favour warm, quiet places and have been encountered in houses, attics and airing cupboards. The edible dormouse is listed as an invasive species under Schedule 9 Part 1 of the Wildlife and Countryside Act 1981 (as amended), which makes it a criminal offence to release them into the wild. However, it isn’t clear whether they actually pose a threat to native dormice by competing for resources and habitat. Therefore, somewhat contrarily, it’s also illegal to harm them (also under the Wildlife and Countryside Act) in that certain methods of killing or taking them are prohibited, except under licence. Developers often fall foul of bats. And it doesn’t matter what type of bat it is – they’re all protected by law, and it’s an offence to ‘intentionally or recklessly’ injure, kill, catch or even handle a bat. Vitally for anyone carrying out development or redevelopment, it’s also illegal to damage, destroy or even obstruct the places bats use for shelter and protection. 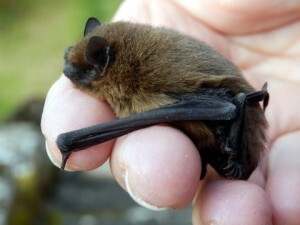 As a respected Brighton-, Manchester- and Cardiff- based ecology consultancy, we’re properly licensed to carry out bat surveys locally and nationally. We do so in line with all the latest current statutory guidelines, and everything we do refers to industry best practice. If you’re wondering whether you can get away without a bat survey, the number of court cases ought to put you off! Just like all protected species, where bats are concerned it’s always better to be safe than sorry. Dormice and bats are just the tip of the iceberg. Did you know you also need an environmental assessment if you have any of the following protected species on the land you’re planning to develop? Want to know them all? The Natural England website has a comprehensive list. If you need to get started on a development but you’ve spotted a protected animal on the site or nearby, or suspect a protected species may be present, please call us for advice. The earlier we can get the area surveyed and establish what’s there, the better for your budget and development deadline.